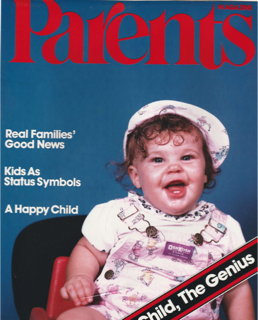 My mother immediately got me a subscription to Parents Magazine the day I told her I was pregnant with my first child. I remember thinking it was a rather odd gift, as I already knew everything there was to know about parenting, (as do all people who’ve never actually raised a child). But eventually I concluded it couldn’t hurt to thumb through the mag every month – if for no other reason than to clip the diaper coupons. That’s how I happened to stumble across a particularly life-changing article about “saying no” to one’s children. The author of the article warned young parents against being overly negative with their children. It suggested trying to eliminate the word “no” from your parenting vocabulary – replacing it with more affirming responses. I fell for this hard, y’all. I was all in. Here was a concept that completely meshed with my naturally positive personality. Your child asks: “Mommy, can I have a Popsicle? You get the idea. This is a parenting skill any fool can master. Once you get the hang of it, it starts to flow naturally. You’ll become be a total Yes-Mom. Remember, it’s not as much about “keeping it real,” as it is about “keeping it realmy.” In the realm of possibility – you know, to avoid killing their wee little dreams. Be careful not to confuse this particular parenting theory with the “Permissive Parenting” movement that swept the country a few decades earlier. This doesn’t mean you can’t be strict and have standards. My kids weren’t running wild, doing things they ought not, per se. They were just running around unrealistically optimistic and ever-hopeful. But, two interesting things happen as our kids hit their tweens, teens and twenties that start to render all this positivity a little less manageable. B) The kids’ requests get more outrageous over time. I mean, sure, your kid can cut the dog’s hair some day or ride his tricycle to Mars, but there’s no way in Hell he’s throwing a Beer Bash for 150 of his closest friends in your home. So, eventually you’ll start to notice yourself turning into that Negative Parent you swore you’d never be…slipping in the occasional head shake, a “nuh–uh” or perhaps even an actual, “ummm…Not No – but Hell No!” When your kid (completely unaccustomed to this unfamiliar vibe) gets a whiff of your bad attitude, he/she may become disoriented, disillusioned and confused. Then, I guess the proverbial crap could hit the fan. I never did run across any articles that advised what to do when that happens. But I did clip a ton of coupons that gave me $1.00 off a box of wipes with purchase of a 64-count box of Huggies. GREAT ! loved it ! Ain’t that the truth, lol. There is no book on parenting that works. We just have to wing it as we go and hope for the best. At least you got a good diaper deal, ha! And I was all about the diaper deal! !